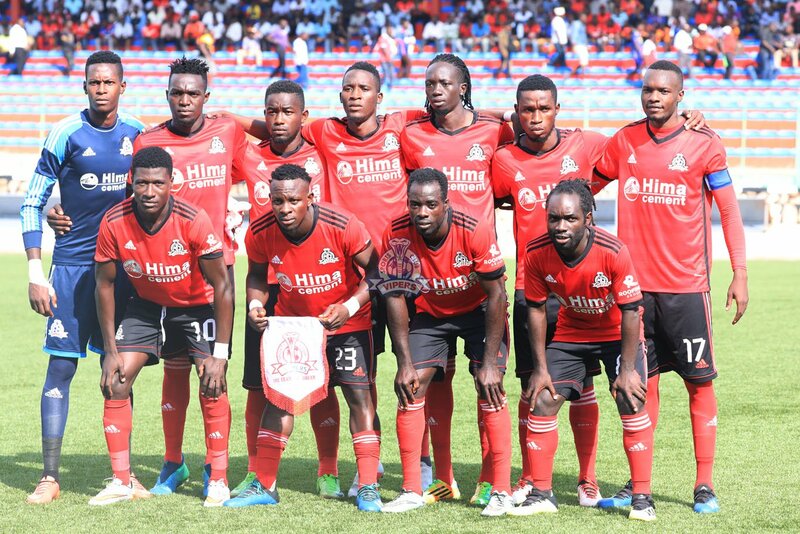 KITENDE – Vipers SC came back to within three points of leaders KCCA FC, thanks to a 1-0 victory over Police in the StarTimes UPL game played on Sunday. Substitute Dan Sserunkuma was the hero on the day, scoring within minutes of coming on to seal the three points for the defending champions. A much changed Venoms side had Brian Kalumba have a first sniff on goal but his weak effort was comfortably collected by Davis Mutebi in Police’s goal. Applying all the early pressure, Vipers also got the first corner moments later but it resulted to nothing meaningful. Tom Matsiko had a chance to put Vipers in the lead but could not beat Mutebi who raced out of his goal to deny the former KCCA midfielder. On 24 minutes, Davis Kasirye set up Kalumba who shot first time but his effort was saved by Mutebi to ensure that game remains 0-0. Moments later, Duncan Sseninde beat Mutebi by rounding him and finding the back of the net but the goal was disallowed as first assistant referee, Isa Masembe signaled for offside. Police were struggling to create anything meaningful and their frustration was compounded by Ruben Kimera fouling defender Livingstone Mulondo inside the Venom’s penalty area. Despite dominating the game, Vipers had nothing to show at the end of 45 minutes as both sides went into the break locked at 0-0. In an attempt to try and convert their dominance into a goal, Vipers made a double substitution on 50 minutes with Kasirye and Matsiko coming off and replaced with Janjali Joseph and Tito Okello respectively. Five minutes later, Police also made their first switch as Johnson Odongo came on for Pius Kaggwa. Two minutes past the hour mark, Janjali put the ball in the net but his effort was ruled out for offside. 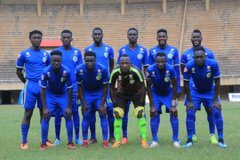 Police’s first attempt on goal came on 64 minutes as left-back Arafat Galiwango shot venoumously but goalkeeper Bashir Ssekagya was equal to the task, pushing the ball out for a corner. Police looked to be starting to grow in the game and a minute later, Juma Balinya tried his luck from distance but his effort sailed wide of the target. On 67 minutes, the Cop’s made their second change with Norman Ojik replacing Ronald Nyanzi. The first yellow card of the game went to Galiwango on 68 minutes. With time running out on Vipers, Brian Kalumba shot from distance but his effort sailed over the goal. With 15 minutes to play, Vipers dealt their last card, sending on Dan Sserunkama in place of Sseninde. Two minutes later, Sserunkuma scores with his second touch of the ball to send the home crowd into cheer and at most relief. On 79 minutes, the dread-locked forward should have made it 2-0 but his effort was saved by Mutebi while one on one with the keeper. Moments later, Sserunkuma was again denied from close range as the former Express striker shot tamely at goal following a Rahmat Ssenfuka long ball. In the last minutes, Police could not mount any serious attack on Vipers goal and the Venom’s saw out the game to take three valuable points. The three points gained take the Venoms into second on the log with 21 points after 9 games. Vipers who have a game in hand are only three points behind leaders KCCA FC. For Police FC, they remain 8th on the table with 14 points. Action will resume on Tuesday with six games.